To all my mommy friends, please check your cupboards and inspect your PLUM Organics Baby Food. They are having a voluntary product recall for spoilage. 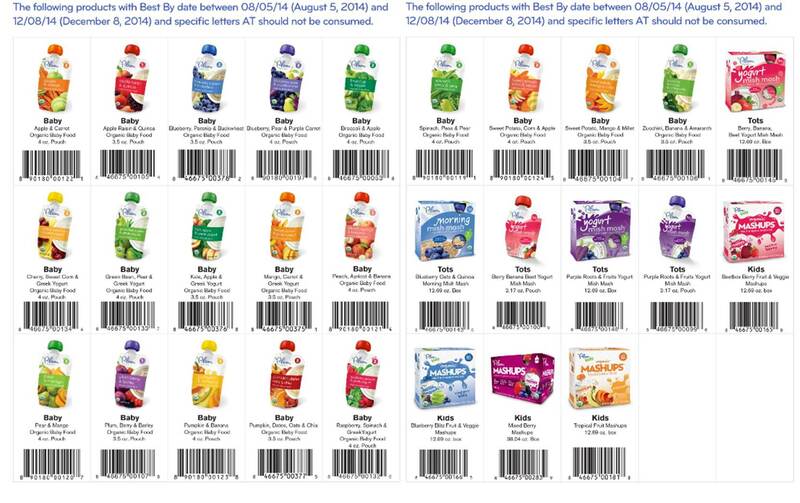 These are my munchkins favorite baby foods and snacks… Unfortunately, I had to throw all of my pouches away because they fell between the spoilage dates and from the production plant labeled “AT”. However, they are offering an online replacement voucher.